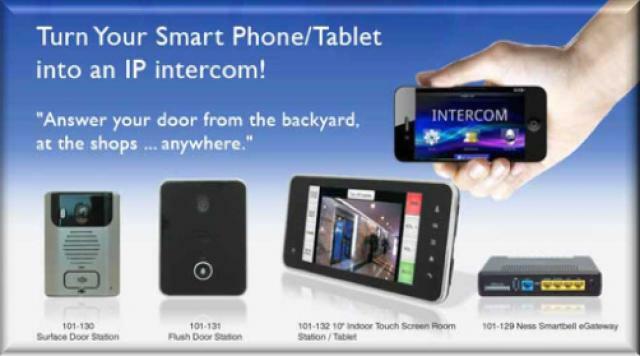 A Smart IP based intercom with many advanced features not possible with traditional analogue video intercoms. Communicate with visitors at your door or gate using either a wall mounted touchscreen monitor station or your phone (works with iPhone, iPads or Android phones & tablets). You'll never miss a visitor again!! This new Series 2 also now includes a simple plug & play procedure to Auto Pair the Outdoor IP Door Station to the eGateway controller. 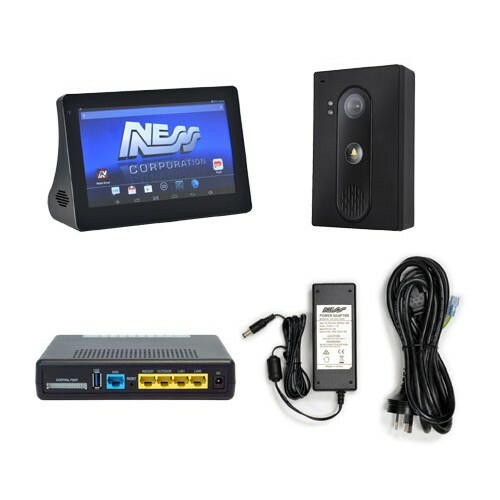 This Kit includes Smartbell eGateway (Controller) , HD Surface Mount Door Station, Desktop 7" Room Monitor and power supply.